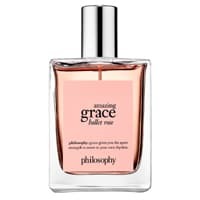 You can get a free sample of philosophy Grace perfume that has a rose petal scent. Hurry up and get yourself a free sample before they run out of stock. Follow our link, and find you nearest store to receive a sample. Click on “GET IT HERE” button and then follow instructions given above to get a free sample of this perfume.